I waited until the second day of second grade to start, and since we spent all last year doing this, most of my friends knew exactly what to do. I just had to introduce my new friends (there are 4 of them) to this routine. I started with a question everyone could answer (and if I remember correctly, it’s one of the first problems we did last year, too). Note that I had to revise my question, since kiddos wrote 1 combination and thought they were finished. 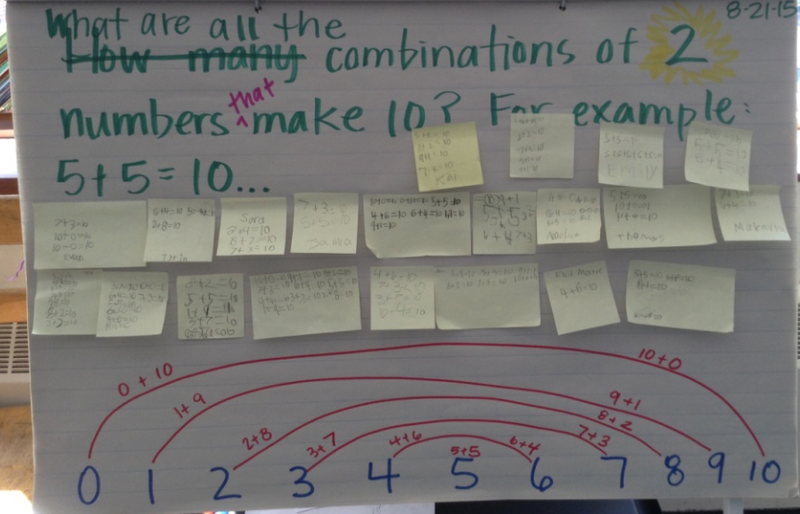 I drew the visual of the 10s “rainbow” as we discussed the problem, and it was good to hear a couple of friends say, “Oh, now I get it!” Like me (who is a visual learner), seeing how those numbers connect is important to their understanding. This is definitely become an anchor chart in our classroom! 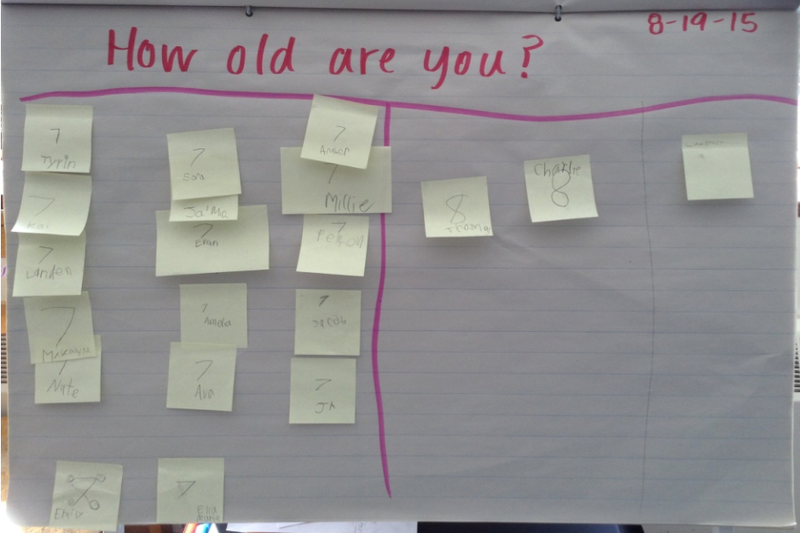 Posted on August 23, 2015 by Jen Bearden	• This entry was posted in Classroom, Math, Second Grade and tagged back to school, beginning of the year, math, math warm ups. Bookmark the permalink. Great way to start the day getting the students thinking.